Could Snapchat's Collaborations with Apple and Google Signal Something More? While Facebook continues to heap pressure on Snap Inc., the newly listed company's forging some interesting connections via partnerships with tech giants, which may point to future opportunities for the app. Recently, when announcing the coming launch of the iPhone X, Apple's SVP of software engineering Craig Federighi discussed the detail of their new face-tracking and image enhancement tools, and explained how they'd been working with Snapchat to develop Lenses and visual additions based on this. That mention alone saw shares in Snap Inc. spike, with many speculating what this potential partnership might mean. It seems like a fairly minor collaboration, for sure, but as noted by Nasdaq, Federighi appeared to be using a customized Snapchat app, designed solely for Apple, which could hint at something more than a one-off demonstration. Market analysts also noted that Snap could see significant benefit from Apple's push into augmented reality - the majority of Snap's users are on iPhone, and with early access to Apple's new AR features, Snap could get the upper hand in developing new tools and features. But could the collaboration also be a sign that Apple might buy out Snap? It's broad speculation, but an integrated partnership between the two makes a lot of sense. Snap's asking price would be high, but as noted, with pressure mounting, it is interesting to note that Snap Inc. is working with the tech giant. And that's not the only partnership Evan Spiegel and Co. have going for them. Another potential Snap suitor could be Google, which Snapchat is also working with on a new project. 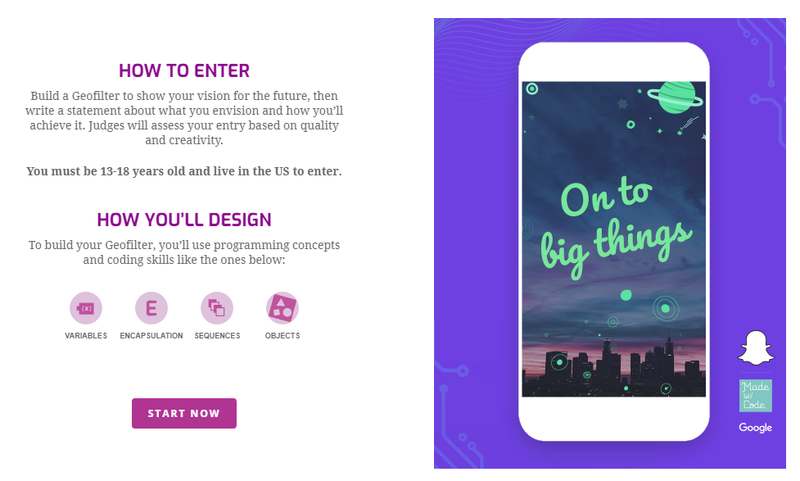 As part of Google's 'Made with Code' education program, Google's collaborating with Snap on a competition where teens can submit their own Geofilter in order to win the opportunity to tour the Google and Snapchat offices, and create their own Lens. The initiative's aimed at highlighting the benefits of coding knowledge in a more fun way, demonstrating how such skills can be used in developing features teens know and love. As such, Snapchat's a perfect fit - but as has been well-publicized, Google has tried and failed many times to get into social media in order to fend off rising competition from Facebook. Could Snapchat be an answer for them on this front? Again, this is purely speculation, there's nothing more to any of these stories at this stage. But it is interesting to note who Snap is collaborating with, and what benefits Snap's platform could bring to both Apple and Google in different ways. Thus far, Snap Inc.'s performance as a publicly listed company has been lackluster, with the rising competition from Facebook - most notably through Instagram Stories - sucking the wind from the app's sails, and all but halting its once rapid growth. Snap's next performance numbers will be released around November, and as always, the market will be keenly analyzing their figures. If there's no improvement - or worse, a decline in their numbers - Snap will need to start assessing their options. There's still a heap of potential in the app, the opportunities are still there for Snapchat to live up to its lofty valuation. But there may come a time where the company considers potential partnerships, and as noted, both Google and Apple make a lot of sense. This is just smoke right now, just little hints of behind the scenes arrangements. But the company Snap keeps may hold significance in the app's future evolution.